I’m starting to daydream again about living in Valencia. It’s one of my favourite cities in Spain…and whenever I daydream about living in Spain, Valencia is the first place I dream of. And no wonder: There’s a lot to like about Valencia. First, there’s the location and climate. It sits right on Spain’s eastern Mediterranean shore. That means urban beaches and a temperate climate that is spring-like much of the year. Next, it’s a major city—Spain’s third-largest—with all the big-city amenities I like, including an international airport, plenty of culture (it’s especially famous for music), great restaurants, bars and cafes. Yet Valencia is reasonably small—about 800,000 in the central city and around 1.6 million in the urban area—so it’s manageable. A big city in a small package, with sandy beaches and warm Mediterranean waters to boot? Hard to beat, in my book. And the icing on the cake is the affordable real estate. Valencia’s property market tanked during the global recession. 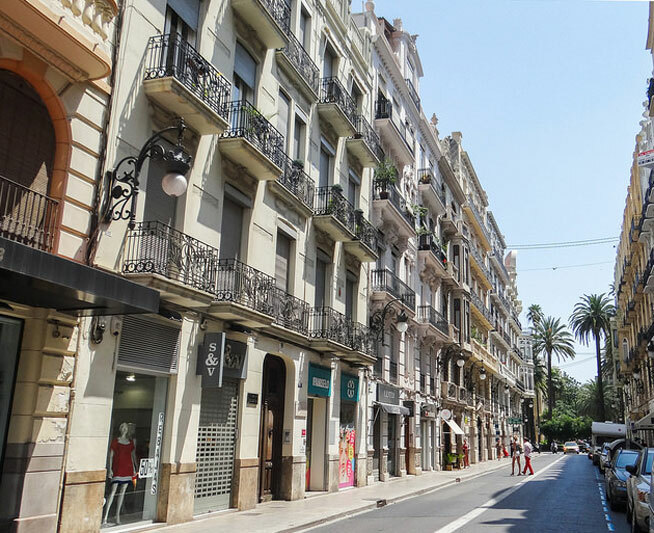 But, thanks to the great bargains this offered and Valencia’s underlying attractiveness, it was also one of the first markets in Spain to begin recovering. The smoking-hot deals were snapped up fast, but good-value deals still abound…in fact, there are enough of them that you can afford to be picky about neighbourhoods. Personally, I like the historic centre for its charm, walkability and its convenience to Valencia’s Central Market, one of the best and largest in Spain. Valencia’s historic centre is also one of the largest in Europe, with plazas filled with medieval buildings and narrow, winding streets of residences with lovely neo-classical facades. Within the centre, the El Carmen neighbourhood has more inexpensive real estate than anywhere else…but it also has lots of busy bars and many unrenovated buildings. I prefer the centre’s quieter, eastern side—the neighbourhoods known as La Seu and La Xerea. And I recently saw an attractive two-bedroom, two-bathroom apartment for sale in La Seu that is listed at €185,000 (about $271,000 right now). A first-floor apartment with 119 square metres, it has balconies looking out on the street and is in a recently renovated building. It’s easy to imagine living here. From La Seu, you’re only a 10- to 15-minute walk from the Central Market and historic buildings, but you’re also an easy stroll to Valencia’s commercial areas and to the tranquil Turia Garden park that runs through the city. And this ample two-bedroom gives you plenty of room for guests. On the other hand, I also like Exposicio, a modern neighbourhood directly across the Turia Garden from La Seu and La Xerea. Streets here are broad, with attractive, modern apartment buildings lining both sides. Shops, restaurants and cafes are on these buildings’ ground floors and pavements are wide enough for outdoor cafe seating. You see this sort of upscale neighbourhood in all of Spain’s large cities and it offers an extremely comfortable, enjoyable lifestyle. Just pop down from your sunny apartment to enjoy a coffee or tapas at the cafe next door…then stroll down the street to shop at the greengrocer and the butcher shop. The Turia Garden is nearby—and if you’re up for strolling a half-hour or so—you can take walking paths through the park to the City of Arts and Sciences, a complex of museums, concert halls, an IMAX cinema and Europe’s largest oceanarium. I recently found an apartment listed in Exposicio for €186,000 ($272,500). A second-floor two-bedroom, two-bathroom with 94 square metres, it’s been renovated, gets lots of light and has both air conditioning and heating installed. It’s farther from the Central Market (just a short trip by bus), but it’s near the university and the hospitals. I could easily see myself living in either of these apartments, in either of these neighbourhoods. Both offer attractive, affordable Spanish living in one of the country’s most sophisticated cities: Two slightly different versions of the same dream. It’s hard to choose between them. But then, that’s a pretty good problem to have.